Intermedia offer thes ability to upload images and logos to certain elements of your webinars. 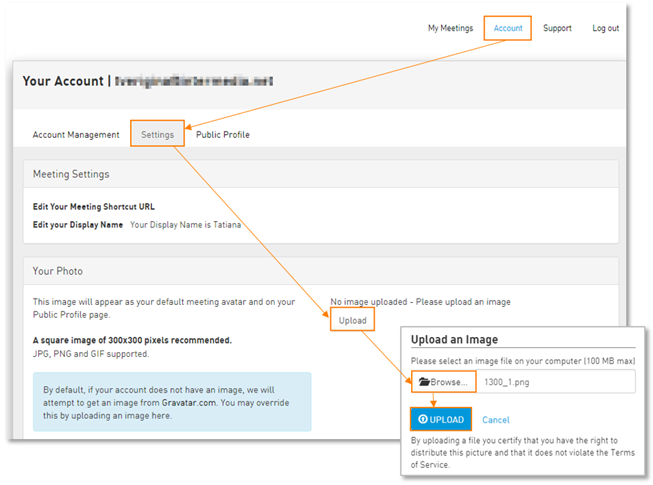 If you prefer using Gravatar for your in-meeting presence, navigate to www.gravatar.com and upload the image you prefer. You must use the Email address that you login to your account with in order for the Gravatar to be populated. 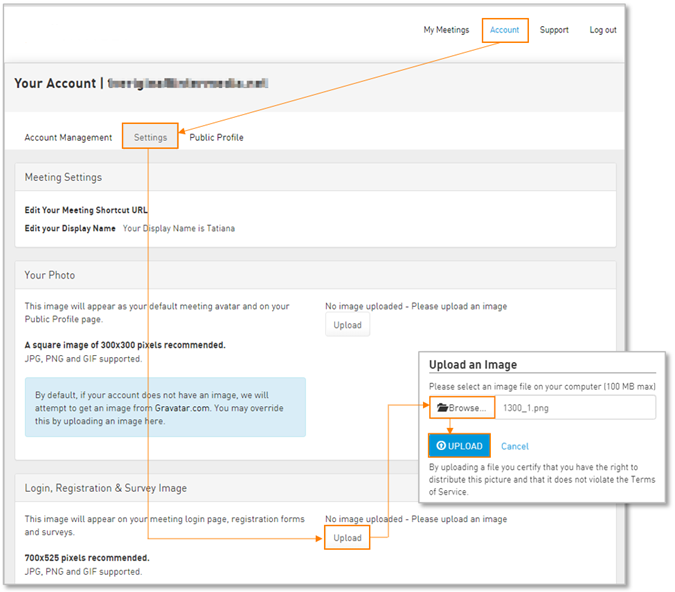 Now the image or logo you just uploaded will be shown on your webinar login page, registration forms, and surveys. 1. The Public Profile Image: 300px by 300px. 2. The Logo Image: 700px by 525px. Note: you will be unable to upload images/logos to be shown during a live webinar.